Current delivery time for houses approx. 12-16 weeks from order date. Delivery only. Prices does not include cost of house. Cosy Tortoises Natural Ground All-Season Tortoise Houses are designed to house tortoises all year round outside. They are insulated to protect against the cold, the wind, wet weather and over-heating in the sun. These houses are ideal for tortoise keepers who prefer their tortoises having access to the ground all year round within the house. These natural ground All-Season Houses should be sat on breeze blocks, brick or similar material (these material are not included). Provides essential heating facilities for keeping your tortoises outdoors all year round and particularly when the UK has temperatures below 15 degrees C. This accounts for 8-10 months of the year. Large enough space to provide a good temperature gradient. Ideal for closing tortoises in overnight when below 15 degrees C outside. Walls and roof are double walled with premium insulation in the cavity. Doors can be locked and the windows are made of security glazing with high impact resistance. UV transmissive polycarbonate allows UVB to filter through. Glass cannot. UVB is essential for tortoises. Tortoise access door is 25 cm wide by 15 cm high unless specified otherwise by the customer. Cosy Tortoises Add-On Outdoor Tortoise Runs can be fitted to the house. Fully assembled on arrival (pallet delivery). Hasp and Staples and Turn buttons included and fitted. Heat and Light Pack available for the All-Season Houses. 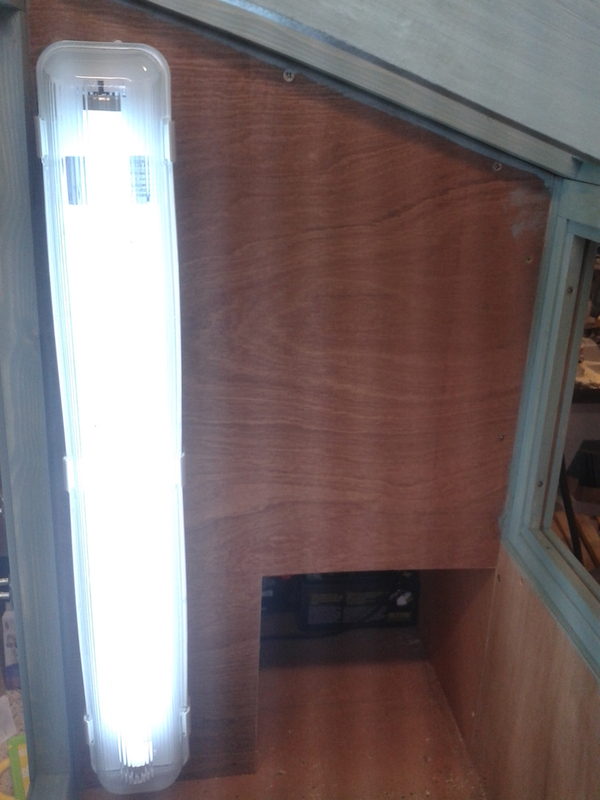 Vine Eye included for fitting heat lamp. Drip Mould fitted above the tortoise door to protect area below from rainwater. 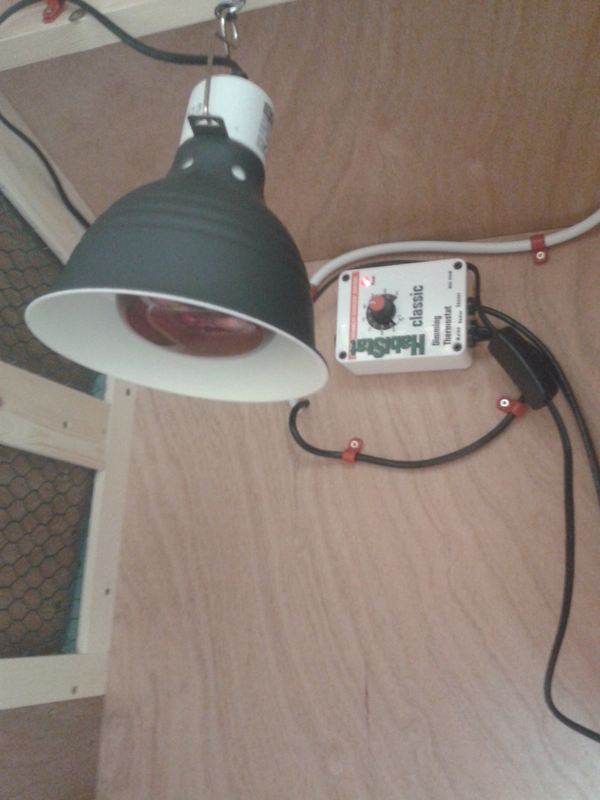 Air Vents in the side near the heatlamp for adjusting the air flow seasonally. If none of the four standard range are suitable for you then you can choose your own size. Please visit the Custom Housing Quote Form for more details on how to inform us about your requirements. Colour Upgrade with 12 options available. The Cosy Tortoises Outdoor Tortoise Runs can be fitted to the All-Season Houses (same size house to same size Tortoise Run must be used). One end is fitted to the house directly. The Tortoise Runs are secure and accessible with premium wood frame meshed side and removable meshed tops. They are constructed with solid tongue and groove wood cladding around the base to reduce your tortoise's natural instinct to try to escape. Rabbit Runs are not suitable because if your tortoise can see through mesh it will try to get through it and may hurt themselves or get stressed as a consequence. They are heavier in weight than rabbit runs and consequently are more difficult to burrow under or be lifted by your tortoise. The planed smooth wood used and plastic coated mesh is of high quality. The quality of the materials increases the security of the enclosure. The tops of the enclosures are removable and can be secured with hasp and staples. Hasp and Staples and Padlocks are also available on this page. Stain colour may vary as to shown in photos. Different colour options are available towards the bottom of this page for additional price. Free delivery when ordering an Add-on Tortoise Run with an All-Season House. Two All-Season Houses-in-One that arrive fully assembled with the sunroom in the centre. The individual heated areas at each end have air vents for seasonal control. They are two separate houses that allow you to keep tortoises apart but beside each other. 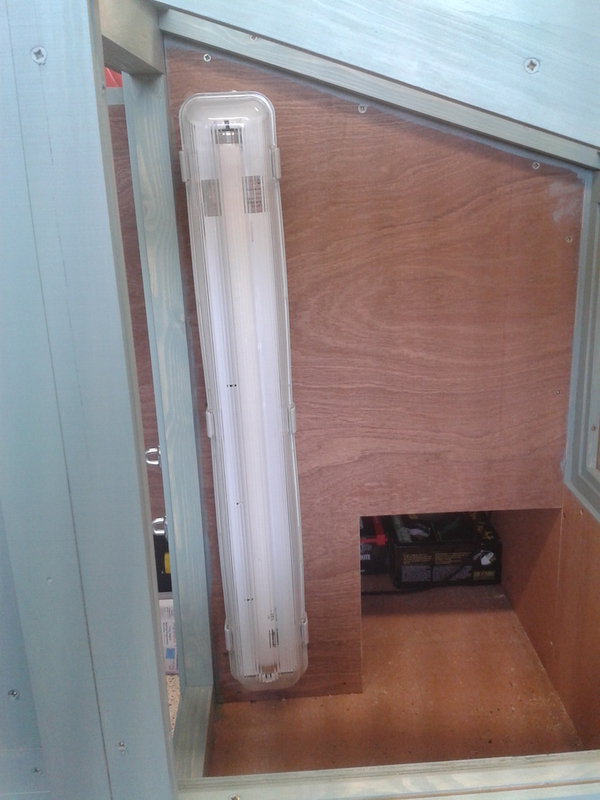 An optional internal door can be included to allow mixing of tortoises temporarily. This may be the ultimate solution to housing a breeding set of tortoises that require separation due to the mating behaviour of some species, or simply to give the females a break. Cosy Tortoises Hasp and Staples are constructed of stainless steel. They are used to secure the top of the Outdoor Tortoise Run to the sides with the addition of a padlock. Each top requires 2 Hasp and Staples to secure it, so for each Outdoor Tortoise Run size these are the number required; Small 4, Medium 4 and Large 6. Free postage with this item when buying All-Season House. The Master Weatherproof Aluminium Padlocks are ideal for securing the doors of the All-Season Houses. The All-Season Houses are already fitted with Hasp and Staples. The padlocks are black with anti-scratch vinyl covering, aluminium body and a hardened steel shackle. Matching key head for easy identification. 2 keys supplied. For each All-Season House size these are the number required: Small 1, Medium 2, Large 2 and Extra Large 2. If buying the Add-on Tortoise Run then for each size; Small 4, Medium 4 and Large 6. Free postage with this item. Cosy Tortoises Heat and Light Package comes with everything needed for the All-Season House. Each package comes with a Exo Terra Heat Glow Light fitting, Exo Terra Heat Lamp, Habistat Dimmer Thermostat, 2ft Exo Terra Or Arcadia UVB tube and 2ft 18W Weatherproof UV unit. 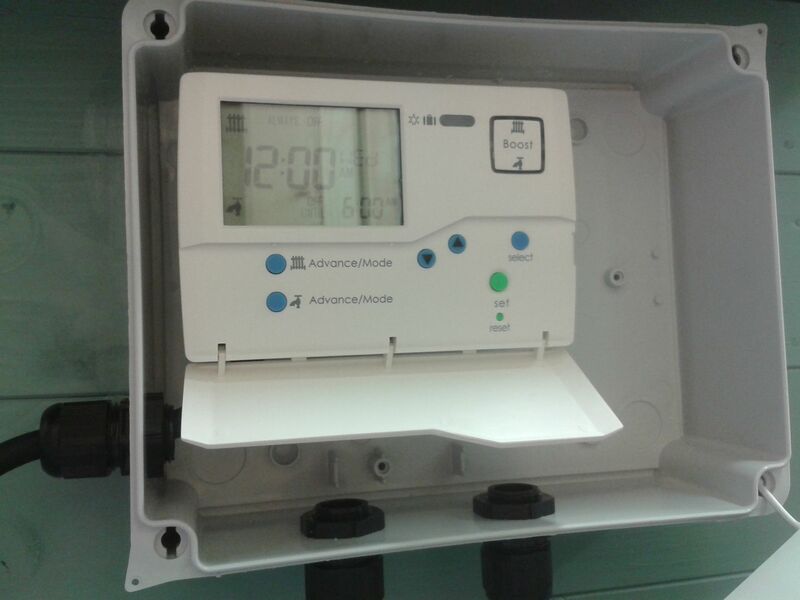 This unit is supplied with an indoor plug and 2 m of cable which is not connected. This should be wired by a qualified electrician before use. It is recommended that the package size should correspond to the size of All-Season House. 2 Large Heat and Light Packages are needed for the Extra Large All-Season House. The electrics can be installed into the All-Season House to save you the hassle of drilling holes and installing extra parts and fittings. A heating programmer unit will be fitted in an outdoor waterproof box on the outside of the tortoise house at the back under the eaves. The heating programmer is needed to control when you want the heat lamp/thermostat and UV light unit to switch on and off. If buying the Electrical Pack with this Electrical Installation Package then the UV unit will be fitted and wired for you running to the programmer unit. The electrical installation will be tested by a qualified electrician. 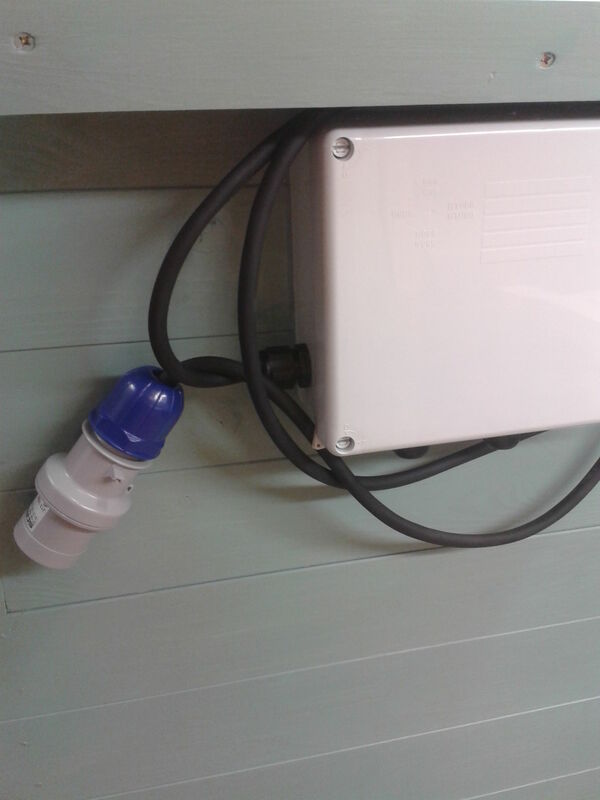 Note that you will still need an electrician to provide a power supply to the Tortoise House via the supplied outdoor plug (connected through the waterproof box to the heating programmer) or by replacing the plug with a suitable alternative. The plug supplied will be a normal house plus (different from photo). The plug will need to be protected from the weather. See advice from an electrician. The plaque is made of marine resin and consist of the colour black and gold. The raised letters are in gold. The approximate size of the plaque are 5" x 4" and is suitable for both indoor and outdoor use. Please note you will need to secure the plaque with the screws provided. Postage is free for this item when ordering with the All-Season House. All of the Cosy Tortoises All-Season Houses are treated with Oak-coloured wood preservative as Standard. However for an additional charge, you can upgrade to one of the 12 colours shown here. It has a wax enriched formula which protects against water damage. This paint also has UV filters which prevent greying and maintain colour for longer. Add-Ons Tortoise Run colour upgrade is free if purchasing colour upgrade for the All-Season House. When you order please send e-mail to cosytortoises@btinternet.com stating the colour you have chosen for your All-Season House. Please click here to see the colour options. Protect the internal house with paint which is resistant to chipping, flaking, scuffing and scratching. This paint is also resistant to water, oil and grease stains.